Herewith, a look into the near McMusical future! The Sparks Band’s bass player and lead singer Eric Goetz, is better, but not yet well enough to get back on the mic for the band’s gig at Chiefs on October 27. Which is why Tom will be there in his stead, helping to keep the Sparks musical wayback machine’s 60s setting functional. It’s an early show (6:30 to 9:30), so best hustle yer bustle down there. 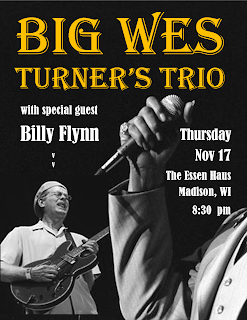 With Gary Hendrickson near wrapping up recuperation, and with first-call fill-in Billy Flynn off on tour, Big Wes Turner’s Trio calls on Mark Loder and Rich Larson of the above mentioned Sparks Band to rock the Essen Haus on the first Thursday of the month. A little bit of this, a little bit of that, and a whole lot of 60s. 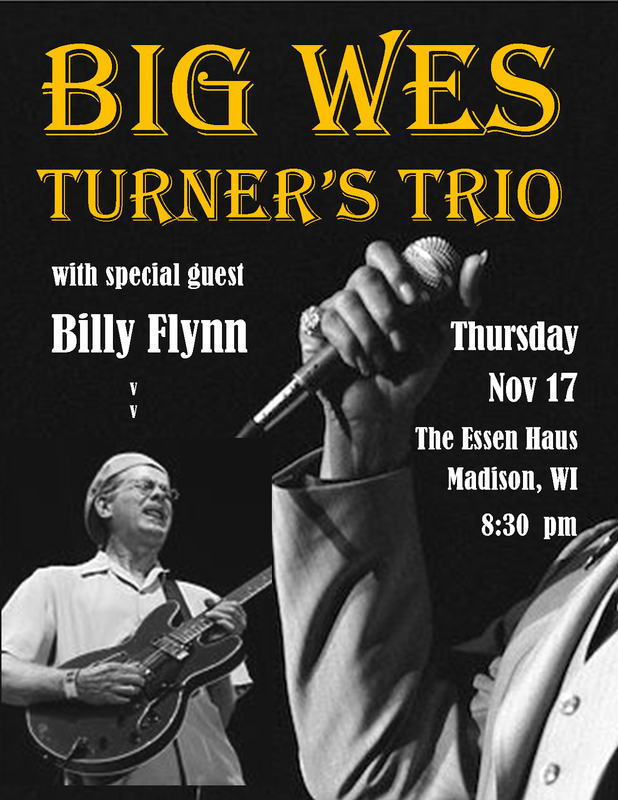 Twas the night before Thanksgiving, and the BirddogBlues Band fires up for Pre-Holiday Hump Day at Tofflers in New Glarus.